Can Venezuela’s primary aluminium industry survive? Primary aluminium production has been a crucial part of Venezuela’s economy since the creation of the Corporación Venezolana de Guayana (CVG) in 1960. Alcasa was established in 1967 and Interalumina in 1977. After the commissioning of the 47,000 GWh Guri dam, Venalum started operations, while in 1979, the Bauxiven mine and Cabelum began to produce wire rod. By the late 1980s, Venezuela’s installed capacity had reached 640 thousand tons per year, thanks to the installation of Hydro HAL-230 cells. By 1994, Venezuela was the fourth largest source of aluminum imports to the United States, according to Lloyd O’Carroll, an analyst at Northcoast Research. A wave of industry consolidations followed. That year, the CVG decided to merge Bauxiven and Interalumina, forming Bauxilum; while Alcasa assumed all the shares of ALUNASA in Costa Rica. Similarly, Venalum, Alcasa, Bauxilum and Carbonorca were merged into one company called Cavsa. However, that process was halted soon afterwards. In 2000, the new government in Caracas stopped privatizations and separated Cavsa into autonomous units. Production started inching up, hitting 570 thousand tons in 2001, before matching installed capacity in 2002. In 2003, a series of modernization works were kick started: a fifth line at Alcasa and a sixth at Venalum, while Pechiney began upgrading the Alumina plant (Bauxilum). Venalum, however, peaked in October 2005, after which a steady decline in production began. In 2006, the Venezuelan Ministry of Basic Industries published guidelines to increase the sales of aluminum to domestic consumers, leading to a halt in the expansion projects. The new marketing strategy increased warehouse costs, as local producers did not have the sufficient infrastructure to receive the metal. Over time, producers saw the yards of their warehouses overcrowded, further generating losses. In 2007, Venalum made a controversial decision, and initiated a policy of import substitution in response to government policies with special payment conditions. A series of accidents didn’t help much either, such as the fire that destroyed the mixers of the coal crushing and compaction plant of Alcasa, and to the delays in import orders Bauxilum started experiencing. For its part, Carbonorca began to see the effects of increasingly timid investments. By the first quarter of 2008 the situation was dire. The union leaders of all the companies of the aluminum sector went on strike, demanding salary raises and benefits. The government’s reaction was swift: it dismissed all the presidents of the companies, and replaced them with army generals. The new leadership then created a commission to reduce operating costs, which further aggravated the unions that felt their demands were being left by the wayside. A new strike was called. 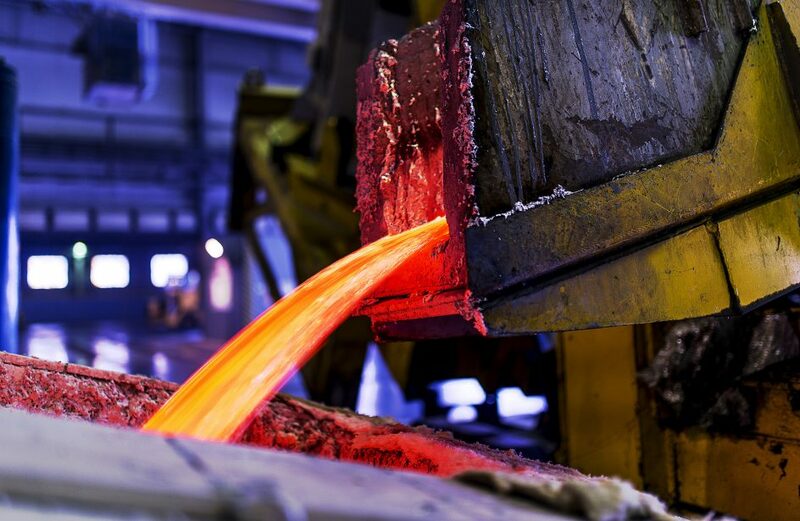 In the end, the guidelines of the government failed to achieve their goals: revenues did not increase, and the import substitution strategy did not manage to fulfill the needs of smelters, which began to struggle from lack of investment. At the beginning of 2009, the Ministry of Basic Industries (Mibam) through the voice of then minister Rodolfo Sanz, announced that the technological and financial problems of the companies in the aluminium sector were taken seriously by the upper echelons of power and that corrective measures would soon be launched. However, the Alcasa and Venalum expansion projects were abandoned; despite conditions being ripe for their implementation, a point made at the time by Dr. Jesus Imery. Things soon turned from bad to worse. When the global financial crisis hit, the Venezuelan government used adverse market conditions to justify the companies’ operational and financial difficulties. At the same time, Caracas embarked on a huge social spending plan – vote buying in disguise – and decided to restructure the CVG. Around the same time, Venalum signed a contract with Glencore International for a future sale; “The agreement contemplates the supply of 360,000 tons of primary aluminum and cylinders for six years,” said the president of the union of professionals of Venalum (Sutrapuval), Manuel Díaz. At the same time, several local aluminum consumers used the import substitution strategy to stockpile metal and then export it through the port of Palua; The security directorate of the Mibam and the Venezuelan Public Prosecutor’s Office initiated an investigation, which led the state agency ABN to report at the time that, “during an inspection of a Panamanian-flagged vessel, the National Guard detected ingots and pans from aluminum in the hold of the ship, as well as in the port storage yard “; the cargo carried theseals of state companies, companies that would have sold the metal, in violation of Mibam regulations. At the end of 2009, the government decided to reduce the energy supply to industrial consumers in the Guayana region by 560MW, to offset what they called an “energy crisis” due to the persistent drought that affected the Caroní River and the country’s main hydroelectric power stations. The cut left two production lines at Alcasa and 360 cells at Venalum without activity. In 2010, the government initiated a second power reduction plan, which saw 30% of Venalum’s remaining cells taken out of service, forcing the state holding company to import the metal to guarantee the supply of future sales for about 644,000 tonnes of primary aluminum. No further “investment” plans were mooted. In 2011, with the return of rain and water at the Gurí dam, the companies maintained the reduction in production and electrical failures began to occur more frequently. Venalum executives refloated their failed domestic sales strategy: “The objective is to increase domestic sales as domestic demand for our products is growing,” while Alcasa declared force majeure on its exports due to labor disputes. In 2012, the companies sought to obtain some breathing room by signing agreements with Chinese investors. Chalieco, a subsidiary of state-owned Chinalco, initially signed with Alcasa and then with Venalum; Henry Arias, told the press that “the problem of the companies is that their operation was delivered to workers who have no experience in their management and did not let them be managed by those who know the subject”, referring to the policy that incorporates to the companies the government called “Labor Control”. Venalum began a plan to re-activate cells by cold starting them, while the corporation called on regional companies in a campaign to design & manufacture spare parts that would allow the substitution of imports. The aim was to replace about 13,000 parts that were generally imported. Unfortunately, at the end of the year, the local press reported that companies suffered from a general shortage of spare parts, supplies and services. As a result of all these convulsions, by February 2013, Diego Oré and Silvia Antonioli, writing for Reuters, concluded that the Venezuelan aluminium industry is “on the verge of collapse as it struggles with worsening labor disputes, outdated technology, and maintenance problems following years of under-investment.” Another Reuters article stated that the Mibam cited that the limitations of the 2015 management were due to low levels of inventories of raw materials, supplies and spare parts, intermittent availability of machinery and equipment. All technologies and parts have a well-defined service life. The Soderberg cells were replaced by pre-bake anodes, but even this technology is now outdated. The current trend is installing cells of 600kA with Faraday efficiencies higher than 96% and energy consumption of 12.5 kWh/kgAl. The march of progress never stops, and next generation smelters will include developments such as Rio and Alcoa’s Elysis process, or contain cells with low emissions such as Norsk Hydro’s pilot at Karmøy (or others developed in China and in the United Arab Emirates). There’s no reason Venezuela shouldn’t be able to follow the trend. As Dr. Hans O Bohner, who was interviewed in July by AlCircle, stated: “Venezuela has excess hydroelectric power, a good bauxite and a modern alumina refinery, and could be a serious engine in the primary aluminum market as soon as its political situation can be normalized “. As Goran Djukanvoic wrote in these pages, in the countries of the former Yugoslavia, only the aluminium companies that received continuous investment and operated without corruption scandals survived political instability. The story of Venezuelan aluminium is in many respects similar. Over the past 15 years, knowhow has been lost due to insufficient investment. The lack of a coherent commercial vision, as well as political and economic instability have all managed to send to the brink of bankruptcy a once-thriving industry. Jesús Manuel Rodriguez is a Metallurgical Engineer graduated from the National Polytechnic Experimental University (UNEXPO) of Puerto Ordaz; with an MBA in Operations and Production from the National Experimental University of Guayana (UNEG). After a decade and a half in management positions in the primary aluminum industry (CVG VENALUM), he has diversified into downstream products. Based on his knowledge and analysis on the aluminum industry, Jesús Manuel has started contributing articles to publications interested in the field.